A welcome addition to the literature on Aboriginal symbolic politics and direct action in Canada, this book describes the standoff between the rcmp and a handful of Native activists and supporters at Gustafsen Lake, British Columbia, in summer 1995. Its purpose is to show how the state and mass media use such confrontations to position, and reinforce stereotypes of, Aboriginal peoples in liberal democracies generally. Lambertus situates a content analysis (of media reports and interviews with reporters and the rcmp) within a blend of structural anthropology and discourse analysis to examine “the underlying relations between Canadian Aboriginal peoples, the media, and the rcmp” (3); and, while necessarily having to work primarily with “outsider accounts,” she is largely successful in this endeavour. Beginning with the occupancy of the sundance site at the Lyle Ranch, and then tracing the escalation of the standoff from the first attempts to evict the camp occupants, to the arrival of the rcmp and the creation of a militarized zone about the camp, through a series of armed encounters between the rcmp and the camp occupants, to attempts by Native and non-Native intervenors to defuse the standoff, to the eventual surrender of the occupants and the court case that followed, the account is essentially chronological. Lambertus shows how the rcmp exerted control over media access to the camp and, in so doing, succeeded in presenting the standoff within an increasingly criminal frame. She shows how filtered media reports of (and reporter competition over the right to cover) the same events contributed to their contradictory delivery as well as how “investigative journalism” ultimately yielded to a carefully orchestrated rcmp smear campaign. Some of the story, as it oscillates between the events and how they were reported and interpreted, is a little choppy; but perhaps this merely reflects the character of the standoff as it lurched from one moment of crisis to another. It certainly captures the rising tensions and performative drama that was actually played out on the ground. While all of this became part of the public record at trial, Lambertus should be commended for having been able to negotiate interviews with players who would have had every reason to be distrustful of her motives. My reservations have less to do with the existing content than with the way in which Lambertus framed the study and what she left out. Curiously, she prefaces her account with the 1994 blockade at Douglas Lake but consigns references to the 1990 standoff at Oka to isolated passages in the text and appendices. Surely it was at this earlier event that the collaboration between media and police to criminalize Aboriginal direct action was most thoroughly worked out, and surely a discussion of it would have provided readers with a good introduction to the Gustafsen Lake events. Lambertus does note how the media and police representation of Gustafsen Lake informed the rising crescendo of opposition over the then pending Nisga’a Treaty, and she acknowledges its links to some of the other highly mediated direct actions at Lyell Island (1985), Penticton (1994), Ipperwash (1995), and Burnt Church (2000). But if her aim was to “frame and situate” the discursive context of Gustafsen Lake, then she needed to provide more tracking between these various events. 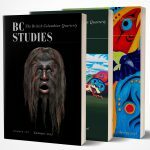 Lambertus does offer a history of the evolution of the Aboriginal land question in British Columbia, but it occupies at best six pages split between the intro-duction and appendix. And some of this material, if only because of its selectivity, is factually suspect. This may unnecessarily confuse readers who have little or no knowledge of the Aboriginal land question in British Columbia. Lambertus correctly states that it is generally “news sources with power, status or news appeal [that] have a greater potential to frame events” (73), and she properly notes some of the differences in tone and representation between the more liberal urban press in the larger Canadian cities and the more conservative local media in places like Williams Lake. At the same time, there is no examination of stories in the Aboriginal media or, for that matter, in the alternative popular press. The author admits that these would have provided a valuable alternate perspective and that Native communities were indeed split over the efficacy of this action. Lambertus interviews a handful of local chiefs but ignores Aboriginal media on the grounds that they were generally “not available” (14), when in fact they clearly were. Most striking in its absence, however, is any engagement with the visual media – a surprising omission given the author’s acknowledgment that it is visual representations that are most likely to entrench stereotypes. Lambertus includes a dozen photographs of the camp and its occupants, but they are blocked together in the middle of the book, inadequately captioned, and not cross-referenced in the text. Missing completely are any of the highly inflammatory images that accompanied the various newspaper reports with which she deals. Indeed, I was struck by the lack of dialogue with the literature on visual anthropology, the politics of representation, and the frontier myth in colonial settler societies generally. Lambertus states that “neither the rcmp nor the media took into consideration at the time … their complicity in reinforcing a pre-existing stereotype … of criminal Indians at the level of national media saturation” (128), but she does not follow this through. Indeed, the mediations of the colonial encounter in travel writing, photography, art, and film date back to first contact, and they are surely as relevant to a discursive framing of Gustafsen Lake (and the public response to it) as are the machinations of the contemporary media and the legal and empirical history of the land question proper. In this light Lambertus might have also chosen a few of her words more carefully than she did. She claims that “the cross-section of newspaper stories represented a theme of conflict between Aboriginal spirituality and western understandings of property ownership” (191), but in then commenting that “the standoff occurred when a group of Native people chose violence as a strategy for social transformation” (199), she lets the violence of the Indian Act and the reserve system – and against which Aboriginal direct action and symbolic politics must be measured – off the hook. Certainly, one does not have to accept the tactics of the camp occupants, but when Lambertus further adds, with no evidence, that “Native militant groups are amassing illegal weapons and are continuing to be a serious threat to national stability” (201), she wanders dangerously close to being complicit in the very smear campaign she is trying to deconstruct. In the end, the book worked for me on some levels but not on others. As far as the media’s ongoing role in the maintenance of the “frontier myth” is concerned, the author is clearly in her element – and, to be fair, this is her principal aim. Still, it is the discursive context of blockades and occupancies that is the villain in the piece, and I do think that Lambertus missed an opportunity to develop this side of the standoff in a more robust way.